Lis Adams has enjoyed performing in New York, Boston, and with many area theater groups, playing everything from murderous little old ladies to tap-dancing nuns. 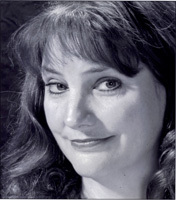 Lis appeared in such films as “The World According to Garp” and “Daniel,” and she has been featured in commercial voiceovers for both film and radio. Most recently her voice has toured the country in the award-winning animated film “Unspoken,” and she can be heard as multiple voices in the video game “System Shock 2.” She sings with the award-winning Sweet Adelines International’s Liberty Belle Chorus, and serves in her daytime job as Director of Education at Orchard House, home of Louisa May Alcott.